"Fantastic Beasts: The Crimes of Grindelwald" crawled, slithered and flew its way to the top of the weekend box office with a $62.2 million opening in the U.S. and Canada, according to studio estimates Sunday. "Clearly it's a huge phenomenon globally," said Jeff Goldstein, president of domestic distribution for Warner Bros. Last week's top film, "Dr. Seuss' The Grinch," was second with $38.1 million, bringing its domestic tally to $126 million for Universal Pictures after two weekends. It took in $9.4 million more internationally. 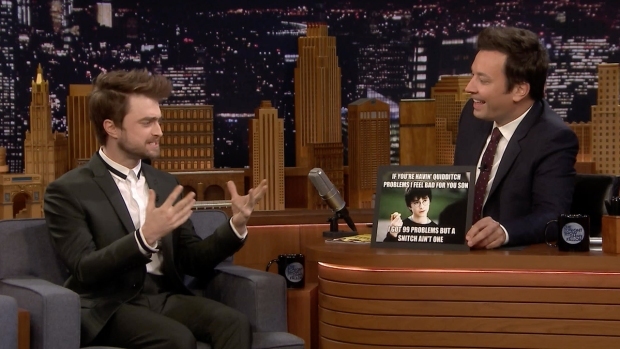 Jimmy Fallon gives Daniel Radcliffe a chance to react to some popular "Harry Potter" memes, and "The Lifespan of a Fact" star reveals how he's going to manage fantasy football leagues while doing Sunday performances on Broadway. 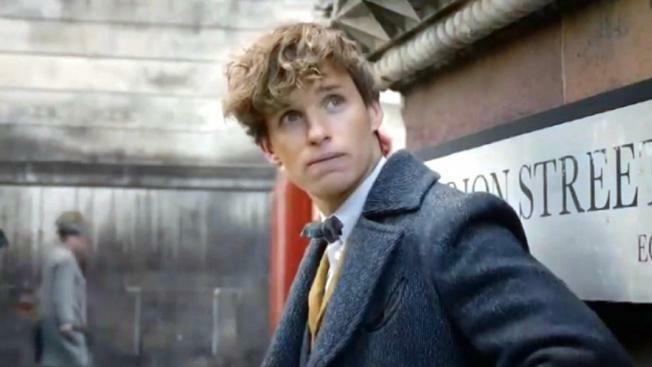 "Fantastic Beasts," the second film in the series of Potter prequels written by J.K. Rowling and starring Eddie Redmayne, Johnny Depp and Jude Law, had a budget of $200 million. Its reviews were largely lackluster, with critics saying Rowling's magical world is wearing thin after 10 films. Globally the first nine films have earned $8.5 billion, a total that this one's worldwide take will inflate. In the U.S., Warner Bros. is hoping young devotees who are out of school will keep "Fantastic Beasts" in flight through Thanksgiving. "It's a big week coming up," Goldstein said. "Friday is one of the biggest movie days of the year." "Fantastic Beasts" continues a year of high points and hits for Warner from a diverse string of movies, including "The Meg," "Crazy Rich Asians," "The Nun" and "A Star is Born." 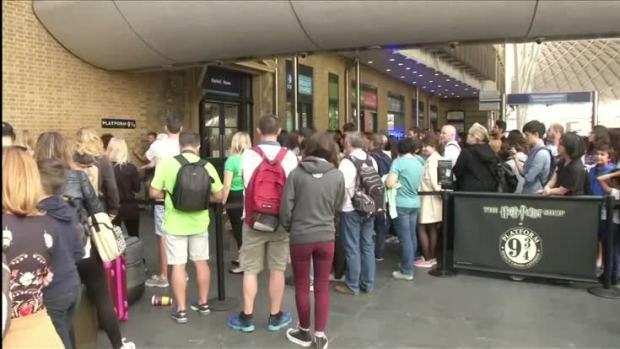 Two decades after J.K. Rowling published "Harry Potter and the Philosopher’s Stone," fans are flocking to King’s Cross station to celebrate the boy wizard and his adventures. 1. "Fantastic Beasts: The Crimes of Grindelwald," $62.2 million ($191 million international). 2. "Dr Seuss' The Grinch," $38.1 million ($9.4 million international). 3. "Bohemian Rhapsody," $15.7 million ($45.5 million international). 4. "Instant Family," $14.7 million. 5. "Widows," $12.3 million ($2.8 million international). 6. "The Nutcracker and the Four Realms," $4.7 million ($6.7 million international). 7. "A Star Is Born," $4.3 million ($5.5 million international). 8. "Overlord," $3.8 million ($2.6 million international). 9. "The Girl in the Spider's Web," $2.5 million ($2.8 million international). 10. "Burn The Stage: The Movie," $2.3 million ($5.2 million international). 1. "Fantastic Beasts: Crimes of Grindelwald," $191 million. 3. "Bohemian Rhapsody," $45.5 million. 4. "Dr. Seuss' The Grinch," $9.4 million. 5. "A Cool Fish," $8.1 million. 6. "The Nutcracker and the Four Realms," $6.7 million. 7. "A Star Is Born," $5.5 million. 8. "Burn The Stage: The Movie," $5.2 million. 9. "Intimate Strangers," $4.6 million. 10. "Detective Conan: Zero the Enforcer," $2.8 million.